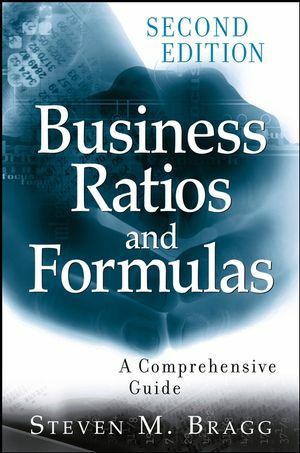 Required reading for anyone starting, running, or growing a business, Business Ratios and Formulas, Second Edition puts answers at the fingertips of business managers, with nearly 250 operational criteria and clear, easy-to-understand explanations that can be used right away. The Second Edition includes approximately fifty new ratios and formulas, as well as new chapters covering ratios and formulas for e-commerce and human resources. STEVEN M. BRAGG, CPA, CMA, CIA, CPIM, has been the chief financial officer or controller of four companies, as well as a consulting manager at Ernst & Young and auditor at Deloitte & Touche. He received a master's degree in finance from Bentley College, an MBA from Babson College, and a bachelor's degree in economics from the University of Maine. He has been the two-time president of the Colorado Mountain Club, is an avid alpine skier and mountain biker, and is a certified master diver. Mr. Bragg resides in Centennial, Colorado. He is also the author of Accounting Best Practices and Design and Maintenance of Accounting Manuals (both published by Wiley). 6. Capital Structure and Solvency Measurements. 7. Return on Investment Measurements. 9. Measurements for the Accounting/Finance Department. 10. Measurements for the Engineering Department. 11. Measurements for the Human Resources Department. 12. Measurements for the Logistics Department. 13. Measurements for the Production Department. 14. Measurements for the Sales and Marketing Department. 15. Measurement Analysis with an Electronic Spreadsheet.